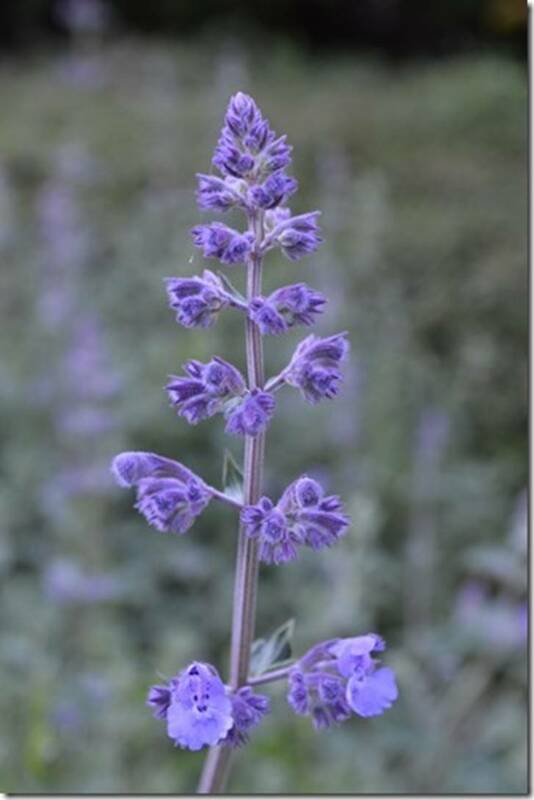 Nepeta produces long lasting flower spikes that are highly appealing to honey bees. They are members of the mint family and do best in sunny locations with moderate water requirements and also show good drought tolerance once established. Unlike many other perennials Nepeta is tough and can flourish even if neglected for many years. Both the foliage scent and flowers will benefit from short dry periods between watering. Trimming back spent flower spikes mid-summer will help keep new flowers forming all summer long. Many of the newer varieties of Nepeta you will find are sterile hybrid crosses that need to be propagated from division or cuttings. They are great plants for use in rock gardens, along pathway edges, or as companion plants in rose gardens.